Sitting on the back patio sipping lemonade (or something stronger) is one of life’s little pleasures. 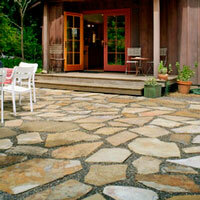 However, different materials require various patio maintenance strategies to keep them looking fresh all summer long. 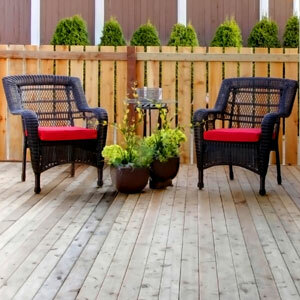 Today we’ll take a look at some of the more common types of patio materials and easy ways to care for them. 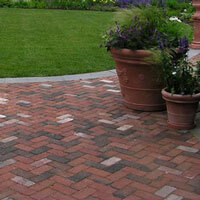 Brick patios are popular for many reasons. 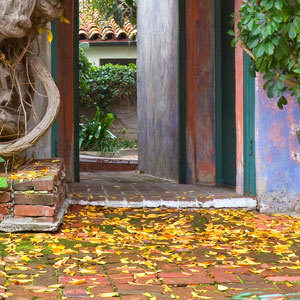 First of all, bricks come in a variety of shapes and colors, so you can arrange them in interesting patterns. Plus, they’re quite durable and relatively inexpensive. This problem is especially apt to occur in places where freezing and thawing cycles are common as the expanding and contracting joints between the bricks become worn or cracked. To solve this problem, you’ll need to sweep sand between the joints of the pavers. If you want, you can stop there or you can then coat the pavers with brick paver sealer or joint stabilizing brick sealer, which are available at any home improvement store. The key to patio maintenance of any concrete patio is to keep it clean and protected from the elements. Clean up spills promptly with dishwashing liquid and a bristle brush and then rinse it well so that no soap remains. 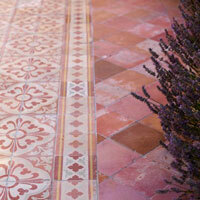 If large portions of the concrete are stained, then use dishwashing liquid and a broom or power washer. Sealing the concrete is important. Without sealing, water can damage and crack the concrete, especially if you live in a cold climate. If your concrete has cracked, you’ll need to caulk it before coating the concrete with two coats of concrete sealer (be sure to let it dry completely between the coats). See eHow’s specific instructions on how to do this. Although patio tiles are beautiful, they aren’t for everyone, especially if you live in an area that freezes during the winder. If weather isn’t an issue for you, then maintenance is fairly easy. You’ll need to use a bristled broom to sweep up any loose dirt and and a power washer before applying an oxygen bleach solution speficically made for tiles. Let it soak in thoroughly, scrub the tiles and grout and then rinse with the power washer to make sure all the cleaning solution is gone. 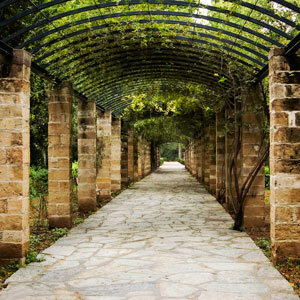 The most common types of stone used on patios are slate, sandstone, and limestone. As with cleaning any patio, elbow grease is important. First you need to sweep and rinse the stones with a power washer. Then comes the elbow grease. Use a mixture of bleach (roughly 1 part bleach to 3 parts water) and scrub any stains before rinsing everything off again with a power washer. If you want, you can seal your stones too. 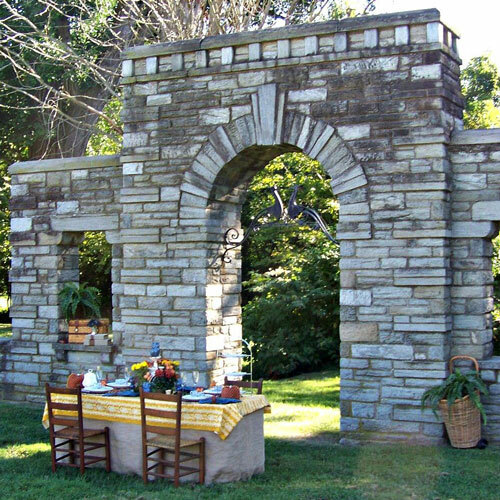 Here’s a great video on how to clean and seal sandstone and limestone. With proper patio maintenance, your backyard can look fresh for outdoor entertaining and relaxing long after this year’s annuals are gone. And there’s nothing better than sitting back and admiring all your hard work with a nice cold glass of fresh-squeezed lemonade! Backyard BBQ? A Spring Cleaning Checklist!